Over 100 teenagers from across the UK came to London to take part. 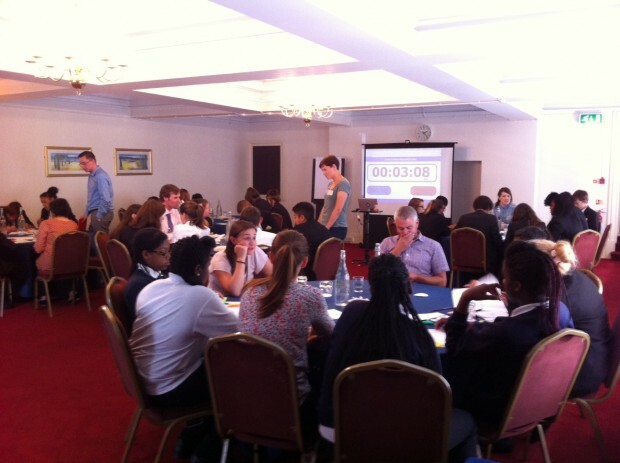 On the day, we ran 30 minute workshops that allowed these young people to experience what it is like to work at GDS. 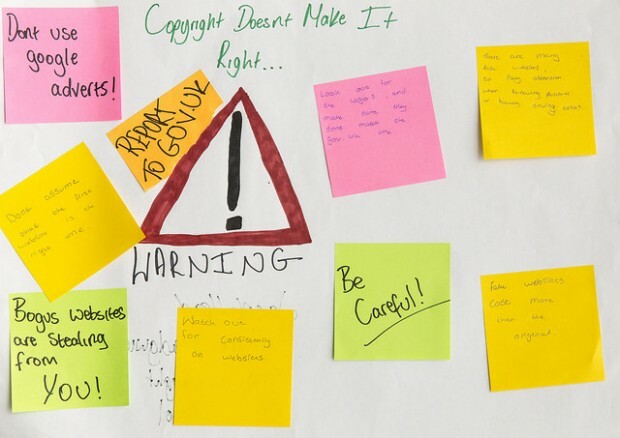 The workshop was based on GDS's #StartAtGOVUK campaign. 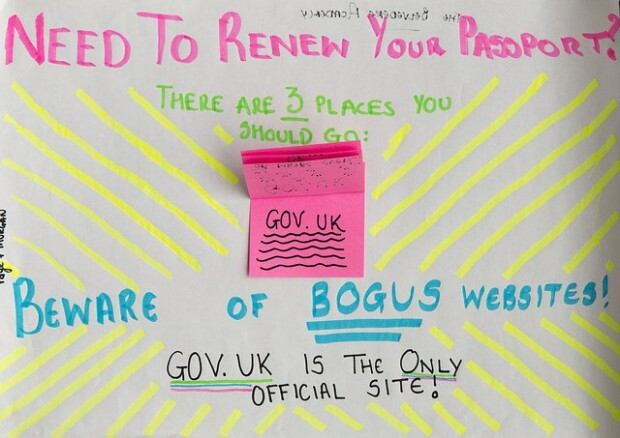 We asked the teens to design a campaign showing GOV.UK is the best place to find government services and information online, and how the public can 'spot the fake'. Getting involved in the Whitehall Schools Conference is quite an unusual activity for many of us here at GDS. We deal with a lot of very different things in our day jobs, but working with school children is certainly out of the ordinary. But, for those of us involved, it was important for us to take part. Firstly, because these are our future users. Most government services are aimed at people aged 17 and over - things like booking a driving test can't be done until you're 17. Events like this give us a chance to raise awareness of GOV.UK as a platform, so future users will know where to go for government services. Secondly, because its important for us to inspire a new generation of digital professionals. Government digital services can only keep improving if we open up careers to everyone, and we need to inspire the right people from an early age. 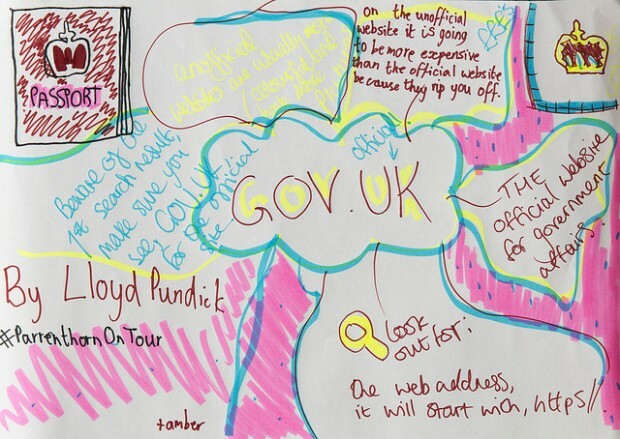 Whilst our teenagers got the chance to involve themselves in GDS's work, and gave us some really interesting ideas, the most important thing for us was what these young people learnt about government digital services. GOV.UK is the best place to find government services and information online. 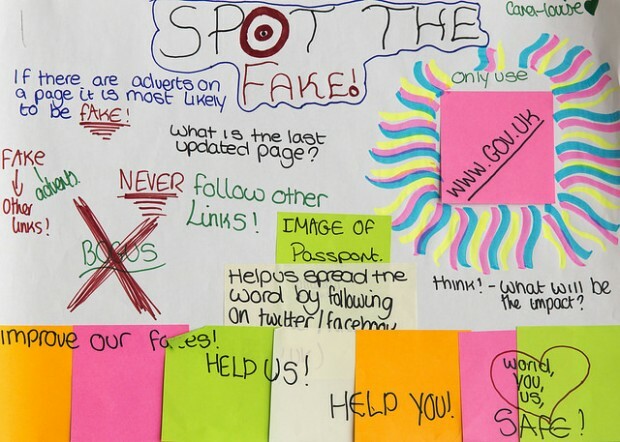 These teenagers now know how to 'spot the fake'. @amosie ... and don't forget to sign up for email alerts. Although this is a wonderful idea and I am delighted that the young people enjoyed the activities of the day, it is important to remember that this information (always start at GOV.UK) needs to be available for all school children / young people. It might be a good idea to prepare web based activities and other resources that enable them to access this knowledge. This could then be used in schools and colleges as part of an IT lesson.